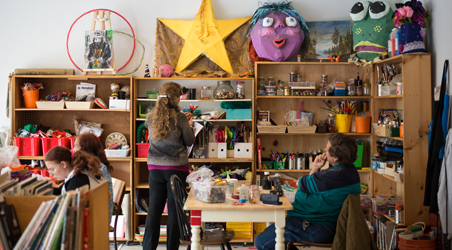 At 149 Simcoe Street South We have a wide variety of traditional, alternative and up-cycled materials on hand for you to make whatever you want or need to make. You can also bring your own materials and projects to work on if you like. If you're not sure what to do, we have resources on hand to browse through for inspiration and volunteers are always available to make recommendations as well. If you like, you're also welcome to contribute to one of our on-going collaborative community projects. Join us on Thursdays, Fridays and Saturdays between 10am and 6pm! Learn and share new skills in our PWYC workshops. 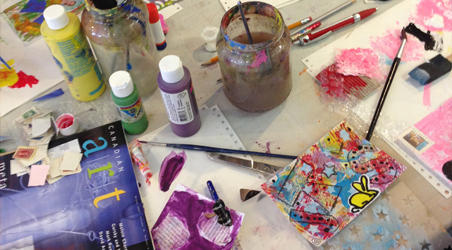 Our workshops are always low-cost and led by community members and studio volunteers who want to share something they enjoy doing with you! 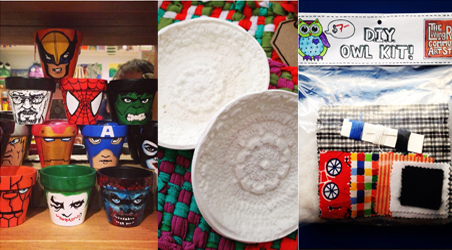 We welcome skill sharing of all kinds, from soap-felting to wood carving to Henna body decorating! Our workshops are open to all ages and abilities (unless otherwise specified) with a suggested donation of $10. And if you are interested in leading a workshop - let us know! We'd love to hear about it! Check our website calendar or sign up for our newsletter for monthly updates about what's happening at the LivingRoom! 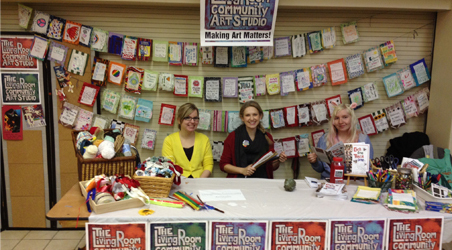 If you are interested in learning more about the LivingRoom Community Art Studio or having us table at one of your events let us know! We love meeting our community members and sharing what we do with others. Visit our online store which features a wide variety of work made by artists from all over the world who support the studio project - or drop by our in-studio shop at 149 Simcoe Street South to buy locally made, one-of-a-kind art and handicraft in person! We sell locally made items on consignment for emerging artists on a low commission. So, when you buy something from our art shop you're not just helping out the LivingRoom project but you're also supporting an artist or maker in our community, and helping them develop in their craft. 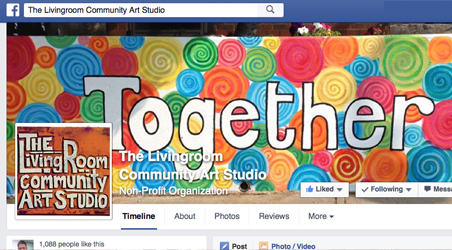 Follow us on Facebook, Twitter and Instagram for daily updates about how our community is making a differnce through creativity. And sign up for our monthly newsletter to learn more about what The LivingRoom is up to. To learn more about our upcoming events and activities check our Calendar! To learn more about how you can help us achieve our goals see our Support Us page!